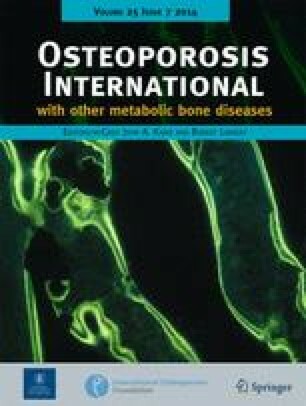 In this large longitudinal study of 16,078 Korean men aged 50 years or older, we observed that baseline elevation of serum uric acid level significantly associated with a lower risk of incident fractures at osteoporosis-related sites during an average follow-up period of 3 years. Male osteoporosis and related fractures are becoming recognized as important public health concerns. Oxidative stress has detrimental effects on bone metabolism, and serum uric acid (UA) is known to be a strong endogenous antioxidant. 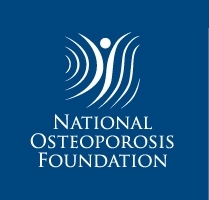 In the present study, we performed a large longitudinal study with an average follow-up period of 3 years to clarify the role of UA on the risk of incident osteoporotic fractures (OFs). A total of 16,078 Korean men aged 50 years or older who had undergone comprehensive routine health examinations were enrolled. Incident fractures at osteoporosis-related sites (e.g., hip, spine, distal radius, and proximal humerus) that occurred after the baseline examinations were identified from the nationwide claims database of the Health Insurance Review and Assessment Service of Korea by using selected International Classification of Diseases, 10th revision codes. In total, 158 (1.0 %) men developed incident OFs. The event rate was 33.1 per 10,000 person-years. Subjects without incident OFs had 6.0 % higher serum UA levels than subjects with OFs (P = 0.001). Multivariable-adjusted Cox proportional hazard analyses adjusted for age, body mass index, glomerular filtration rate, lifestyle factors, medical and drug histories, and the presence of baseline radiological vertebral fractures revealed that the hazard ratio per standard deviation increase of baseline UA levels for the development of incident OFs was 0.829 (95 % CI = 0.695–0.989, P = 0.038). These data provide the epidemiological evidence that serum UA may act as a protective factor against the development of incident OFs in Korean men. Beom-Jun Kim and Seunghee Baek contributed equally to this work. The online version of this article (doi: 10.1007/s00198-014-2697-2) contains supplementary material, which is available to authorized users. This study was supported by grants from the Korea Health Technology R&D Project, Ministry of Health & Welfare, Republic of Korea (Project No. A110536) and by grants from the Asan Institute for Life Sciences, Seoul, Republic of Korea (Project No. 2008-026 and 2013-347).